On October 23, China Pharmacy Summit Forum was held in Qingdao, Shandong Province. 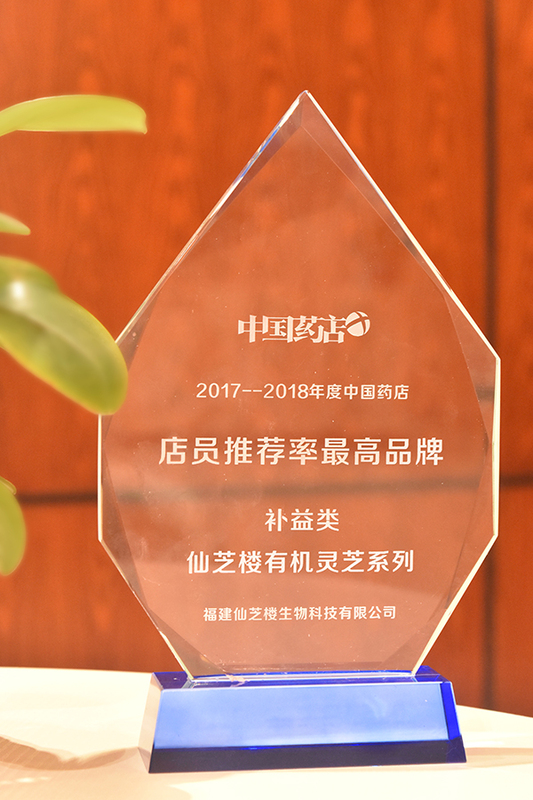 GANOHERB was presented with the honour of The Brand Most Recommended by Clerks at Chinese Pharmacies 2017-2018 by this forum. The Brand Most Recommended by Clerks is the authoritative conclusion of the "Chinese Pharmacy Magazine" after surveying the clerks of the pharmacies across China and soliciting their opinions. Every year, Chinese pharmacies will investigate the first-line clerks of the pharmacies across the nation, solicit the opinions of the majority of clerks to draw authoritative conclusions, and select the brand with the highest recommendation rate. The pharmacy clerks who work every day in the stores will undoubtedly have the biggest voice on which Reishi product best meets the consumer's immediate needs and is highly recognized by consumers. 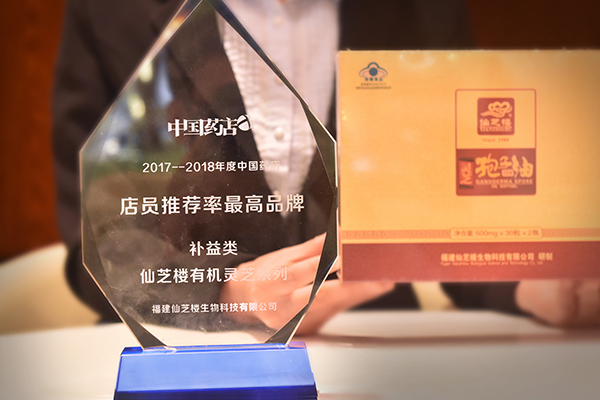 The award not only witnessed the excellent quality of GANOHERB Organic Ganoderma Series products but also confirmed the trust of the pharmaceutical practitioners in GANOHERB brand and the fact that GANOHERB enjoyed a good reputation in the hearts of millions of families!